Over the years I have been thankful to be invited to perform my belly dance show at many Harmony Day Celebrations across Melbourne. 21 March is Harmony Day and it is a day to celebrate Australian multiculturalism. Harmony Day is about inclusiveness, respect and belonging for all Australians, regardless of cultural or linguistic background. How to celebrate! Let’s come together with friends and family and through schools, workplaces and our wider communities to celebrate our diversity on and beyond 21 March. We can organise Harmony Day Entertainment in most parts of Melbourne, be it for your school, workplace, women's groups, community centre, aged care facility or fitness centres. We can also provide dance shows and group workshops for people with disabilities. 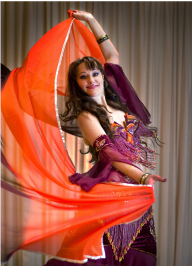 Cultural dance shows include: Egyptian Bellydance, Arabian Nights Belly Dance Show, Turkish Bellydance, Bollywood Dance, Greek Belly Dance and more! We are available on Harmony Day, or other times throughout the year for you to celebrate. Our dancer is available on weekday timeslots during the day! Perfect for centres and facilities during the day. To enquire, please CLICK HERE to fill out the form. We will get back to you soon. To enquire about hiring a belly dancer for your next event see the performance page for types of shows available. Request an affordable quote for your special event. Dancers available in the Melbourne and surrounding areas.